GameStop, the world’s largest video game retailer, has been rapidly growing their brand in recent years. During that time, they have been developing practices and standards to implement throughout their stores. 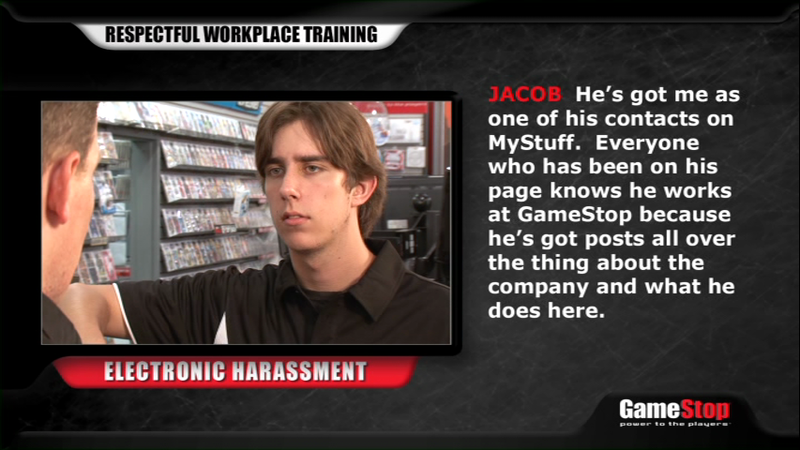 Part of that strategy has been to produce short, in-house videos to supplement the hands-on training that GameStop employees receive. 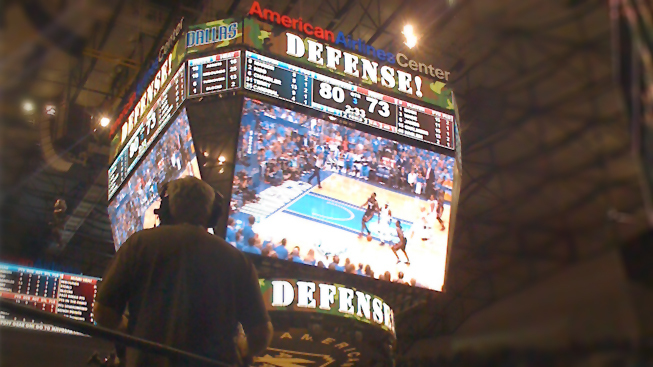 As with any company, there may arise a need to address harassment issues in the workplace, and with a company the size of GameStop, a proper video training program is essential. By the time Jim stepped on board, the development on a harassment training video was already a year into the making. At this point, Jim was brought in to utilize his graphic artistry and DVD authoring expertise, as well has his attention to detail. 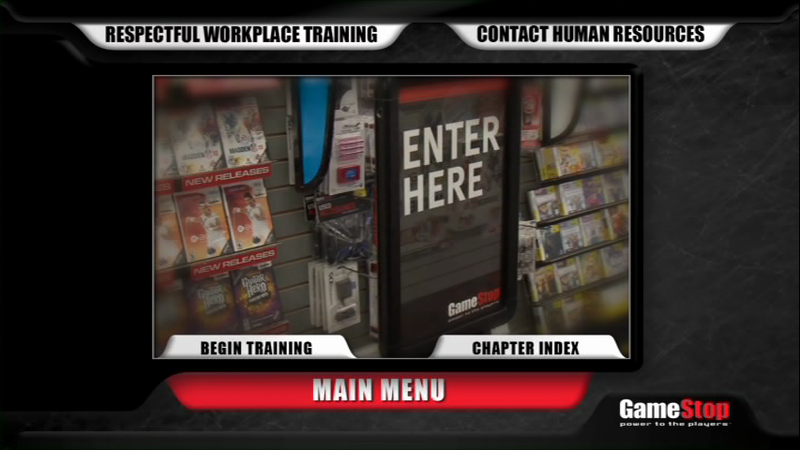 Jim quickly developed a graphic scheme that complimented the colors and feel of GameStop’s stores. He designed animated transitions for the DVD menus and worked on the logic that would allow for seamless navigation on the DVDs. Jim also edited quite a bit of the content and was heavily involved on the late-night shoots with the cast and crew. The project was completed ahead of schedule, thanks in part to Jim’s work, and it was first shown at GameStop’s Annual Store Managers’ Conference at the end of August. By the end of the year, the program will roll out to over 5,000 stores and an estimated 50,000 employees will be trained using the Respectful Workplace Training materials that Jim helped develop. Jim Slaughter © 2019. All Rights Reserved.